My love for musical plays got me going to theater musicals on a regular basis. This was before I got busy with running a business and taking care of our baby. I missed out on a lot of musicals that I wanted to watch because my schedule simply wouldn’t allow it. When I learned about the preparations for a new musical entitled “Ako Si Josphine”, I told myself that I will make time for this play. 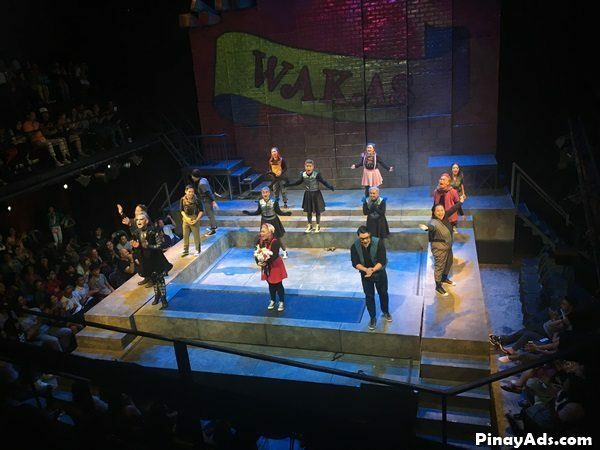 “Ako Si Josephine” – A musical featuring the music of Yeng Constantino is a musical created by director Maribel Legarda, playwright Liza Magtoto, and musical director-arranger Myke Solomon. The same trio behind the successful OPM Musical “Rak of Aegis”. This PETA production is brought to stage by Cornerstone Entertainment and ABSCBN Events. The story revolves around the journey of Josephine in falling in love, making music, and fighting for her right to share her music. It takes place in Allegra, a fictional music empire, where only HYP music is allowed. HYP stands for Happy, Youthful, and Purposeful. The charming Chinito boss, Josephine’s love interest, joins her in the fight for musical freedom. While the despotic ruler Monotomia takes all means to suppress and thwart their plans. Stage actress, YouTuber and Cornerstone artist Via Antonio plays the lead role of Josephine. She was handpicked by Yeng Constantino at the auditions. The talented Maronne Cruz will be her alternate for the role. Joaquin Valdez is set to be the charming and handsome Chinito. As for Monotomia, no other than Jon Santos and Ricci Chan will bring life to the character on different dates. Yeng Constantino is one of my favorite OPM singers. I like her style in music which I find to be playful and meaningful at the same time. Aside from my love for musical plays, it’s the work of Yeng Constantino that motivated me to make time for “Ako si Josephine” musical. My efforts are definitely worth it because I really enjoyed the show. I loved the fresh approach that they took with the futuristic setting and very playful scenes that jive with Yeng’s music style. The scenes gave me the impression of a comic book coming to life. It is like being transported to a different world but keeping the scenes relatable with a familiar plot. 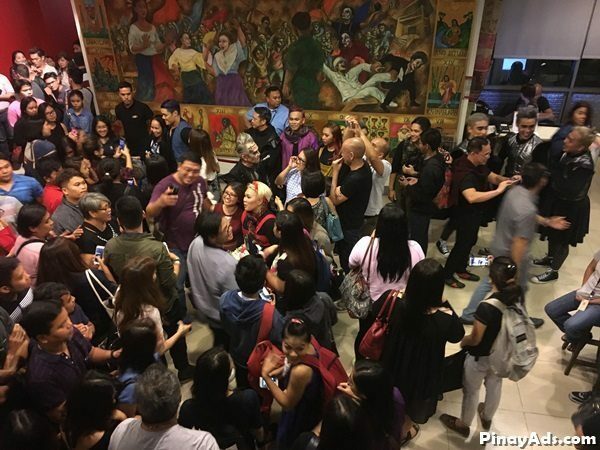 Josephine’s fight for her musical rights reminded me of the Martial Law era in the Philippines. Some of the scenes depicted disappearances, suppression of rights, torture, violence for inconsequential offenses, and activists have been imprisoned, some went underground while fighting for freedom against an oppressive regime. I’m not sure if these scenes intend to remind us of the dark days in our history or it was just my personal view. One of the highlights in the show are the different versions and interpretations of Yeng’s original songs. It was refreshing to hear the creative twists applied to Yeng’s popular songs. Everyone did a great job with the production. I was impressed with the performances of all the lead characters. 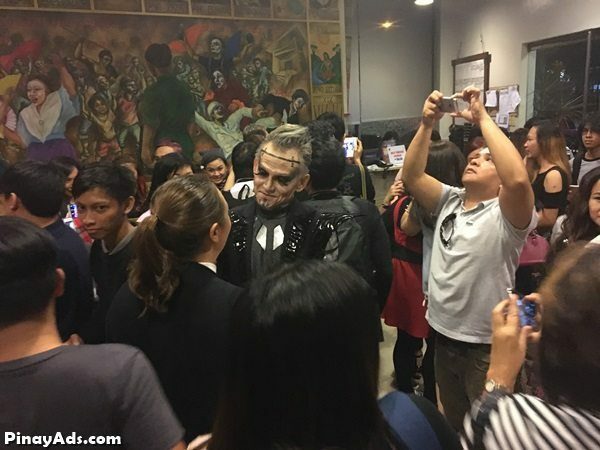 Via Antonio as Josephine, Joaquin Valdez as Chinito, and Jon Santos as Monotomia proved to be a very entertaining combination. I enjoyed their dialogues and impromptu banters which got me laughing out loud. 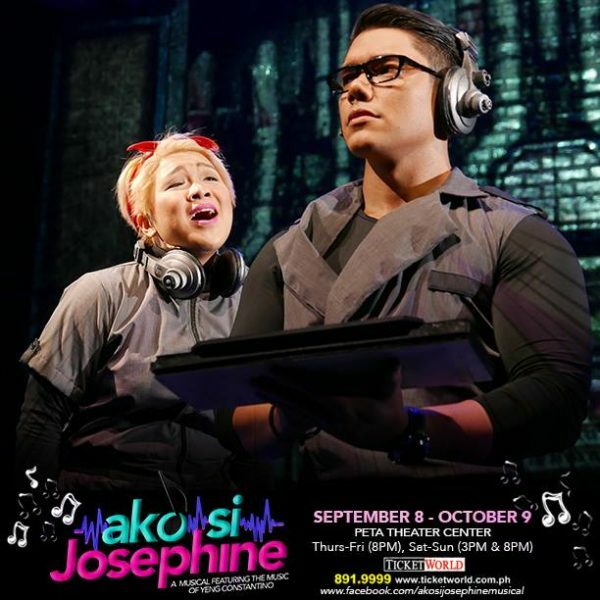 “Ako Si Josephine” – A musical featuring the music of Yeng Constantino is a wonderful play. It captured the Happy, Youthful, and Purposeful music of Constantino and tells us that music is about love and freedom. I daresay it is a must see performance for everyone. Catch it at the PETA Theater Center, Sunnyside Drive, New Manila, Q.C. It runs from September 8 to October 9, 2016. Meet and greet after the show!